The Silmarillion is a collection of J. R. R. Tolkien's mythopoeic works, edited and published posthumously by his son Christopher Tolkien in 1977, with assistance from Guy Gavriel Kay, who later became a noted fantasy writer. The Silmarillion, along with J. R. R. Tolkien's other works, forms a comprehensive, yet incomplete, narrative that describes the universe of Middle-earth within which The Hobbit and The Lord of the Rings take place. Tolkien wrote a brief "Sketch of the Mythology" of which the tales of Beren and Lúthien and of Túrin were part, and that sketch eventually evolved into the Quenta Silmarillion, an epic history that Tolkien started three times but never published. Tolkien hoped to publish it along with The Lord of the Rings, but publishers (both Allen & Unwin and Collins) got cold feet; moreover printing costs were very high in the post-war years, leading to The Lord of the Rings being published in three books. 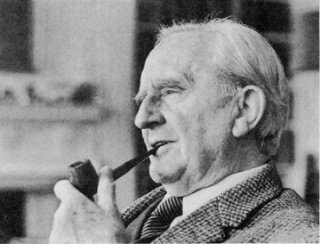 The story of this continuous redrafting is told in the posthumous series The History of Middle-earth, which was edited by Tolkien's son, Christopher Tolkien. From around 1936, he began to extend this framework to include the tale of The Fall of Númenor, which was inspired by the legend of Atlantis. 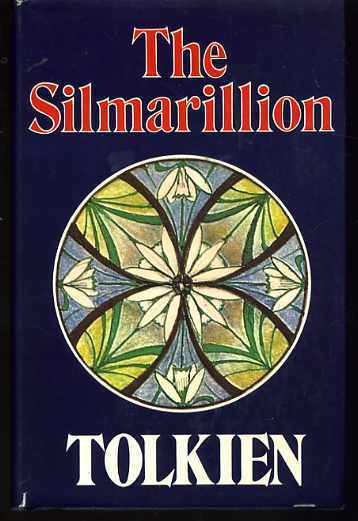 Published in 1977, the final work, finally entitled The Silmarillion, received the Locus Award for Best Fantasy novel in 1978.